The Legacy Coin of the Month Subscription is an easy and fun way to create your own personal legacy. 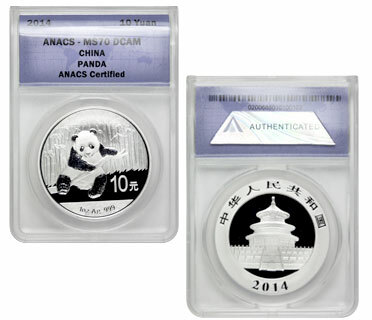 To help kick start your collection we are offering one of the most popular coins in the world, the Chinese Silver Panda, at a flat-out unbeatable price of just $49. Future Legacy Coin of the Month coins will be priced at the affordable $79.95 subscription price. Remember you can stop your Legacy Coin of the Month subscription at any time. Along the way we have special Legacy gifts that will be included in your subscription to provide unparalleled value. So join today and start creating your legacy.